I have three brothers and two sister, all of which I am not very close to. Two of my brothers have lived with my father up until the age of 18. The youngest of the three still lives with my dad. My brothers and I have different mothers so they and I grew up in different homes. My mother and father split a little after I was born.After the split my father explored his options a bit before finally settling down with the original woman he had planned to be with. Of my father’s children I am the third. My sisters and I share the same mother so that was the glue that kept us together growing up. In our adolescence we were super close. we truly loved one another and looked out for each other. My eldest sister moved when she was 23 and my other sister is moving out soon. Of my mother’s children I am third as well. I have written about my siblings a little in my blogs called Being a Christian makes you feel low and God wont let me. My siblings are in my prayers everyday, I have high hopes that someday we will all be close and come together as a family in Christ. As of right now I don’t have a lot of positive things to say about my blood siblings so instead I will share a little bit about my new siblings. Courtney is my new little sister in Christ. She loves to read and is starting her first semester in college. She is a very smart girl that is striving to live confidently in Christ. In a world where most teens and young adults have no concept of who God is she is on a freight train headed straight to heaven because of her love and desire to be close to the Lord and Share Him with the world. I know her name but I don’t know if she wants the world to know her name. But Courtney’s mom also has an amazing page! I re-blogged like all of her posts because every single one of them is jam packed full of wisdom. She is a great writer and if she has any goals left in life that she hasn’t already accomplished, I’d be surprised because all that she has already accomplished makes her an over achiever! Lene has an amazing blog about the importance of saving yourself for marriage. She truly is amazing for her passion for reaching out to the younger generations. She is a super sweet woman that seeks to help the Christian community and bring glory to the Lord, as well as bringing important aspects of what a follower of Christ should exhibit. I have learned a lot from reading her posts and this wonderful woman blessed me with the opportunity to guest post on her blog. 🙂 Thanks again for that Lene! This man is the epitome of a striving Christian. He has put himself in the proverbial hot seat by offering up front personal prayer. I took him up on his offer and gave him my email address and he sent me one of the most wonderful prayers! I proceeded to pray for him as well. I thank Justin because he gave me my first experience with openly praying for someone in front of them. He has an amazing blog as well that is extremely informative and uplifting. My brother Colorado boy is one of the first siblings I came across on word press. He is a very insightful man that I enjoy following!!! He recently returned from a bit of a hiatus and I’m glad to have him back. He is super encouraging and extremely helpful. I can’t wait to see what he decides to post next. I’m ready to learn whenever you’re ready brother. Tom used to be Catholic and he spends his time spreading insightful information about the corrupt teachings of Catholicism. He also has been a wonderful brother to have. One thing that is special about being on here is having people like him who enjoy speaking about God and uniting with his people. His blog is a great read and he is a great brother to have! Thomas has a wide variety of things that he talks about. I am never without good material to read because of this man. He also is uber encouraging and loves uniting with the Christian community. I highly recommend all of these people! Every single one of them are wise and have true loving hearts for God. I love them all and am blessed to have met them. I am so thankful to have a family in these folks. God bless you all and thank you for all that you have taught me!!!!! I couldn’t talk much about my family but how about you? how many siblings do you have? Are you close to them? Leave a comment below introducing me to your siblings. Keep frogging it brothers and sisters!!! 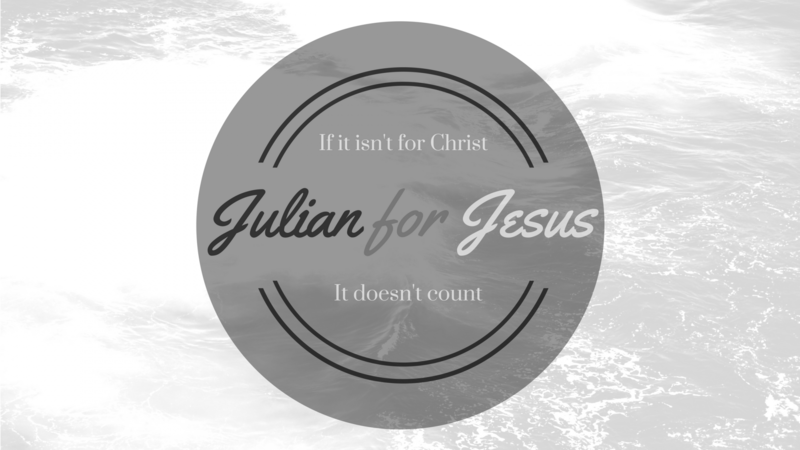 Thanks so much, brother Julian! Yes, our connection to each other through Jesus Christ is greater than familial ties. He also is uber encouraging and loves uniting with the Christian community. Wow Julian – there could not be a nicer compliment brother! Thanks and your excitement for Jesus just jumps off the page – it is fun to read. Keep up the good work! Thank you so much for the compliments! I love how you took this post and made it about your family in Christ. Sorry to hear that your biological family situation is rough. I’m an only child, so I absolutely love how Jesus makes every believer part of one big family! I really feel the whole sibling-kind-of-connection in the Christian blogging world. I’m going to have to check out some of the people that you mentioned, as I always love finding new blogs to read! Courtney has asked me to guest blog on her blog and for the topic to be Wisdom ironically LOL : ) I have been praying about it .. Anyway I can understand completely about your biological family – I actually connect on a deeper level with my family in Christ than my biological family too and we know we will spending eternity together – how cool is that ? !!! Praising God together ~ singing ~ worshiping !!! yes please do check out every person on there truly they have been such a blessing to me. everything from support to prayer and so much more has been provided through this list. I think that guest blog would be so awesome hahaha if her blog were to be the bible you would be the embodiment of wisdom. hahaha it’s referred to as a lady so you fit the description perfectly sis. my family I pray everyday will come around, but I choose to not let their weight of burden keep me from going where I need to go. lastly yes what a powerful thought. of us all getting to heaven and rejoicing praising God together and living an eternity with pure happiness and love!!!!! lol you’ve got the frog thing spot on 😂😂😂😂😂 you’ve really got it spot on if your doing it, which I believe you are. and you are busy training God’s future soldiers so the blogging world can patiently await your return as you groom the future generations of spiritual combat hahaha! Previous Previous post: 30 day blog challenge day 21. My favorite one true pairing.